The Confucius Institute has officially opened its doors at the main campus of the National University of Samoa. 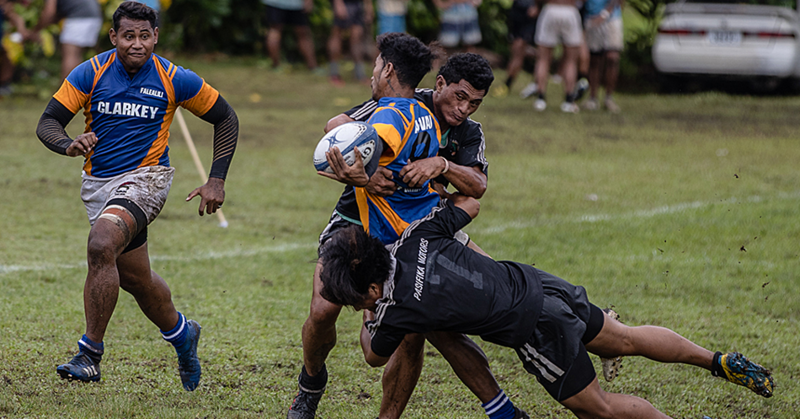 The institute was established in a collaboration between the National University of Samoa, Confucius Institute Headquarters in Hanban, China and Liaocheng University. The institute is a not-for-profit organisation, which was created in 2004 to promote Chinese language and culture in foreign countries. They have become a platform for cultural exchanges between China and the world, as well as a bridge to reinforce friendship and cooperation between China and the rest of the world. The opening ceremony was attended by the Chinese Ambassador to Samoa Wang Xuefeng, Minister for Public Enterprises Lautafi Fio Selafi Purcell, Minister of Justice and Courts Administration Faaolesa Katopau Ainuu, Minister of Works, Transport and Infrastructure Papaliitele Niko Lee Hang, N.U.S. Vice Chancellor and the chair of CI-N.U.S. Board Professor Fui Asofou So’o amongst other dignitaries and invited guests numbering close to 100. 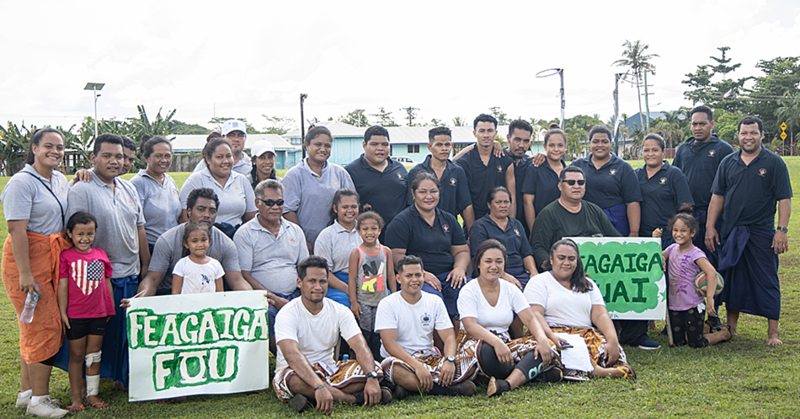 The guests included students and principals from Vaivase Primary, Robert Louis Stevenson Primary School, Maagiagi Primary School, Leififi College and Vaimauga College. The ceremony was hosted by Professor Fui Asofou So’o, N.U.S. Vice Chancellor & Chair of CI-N.U.S. Board. 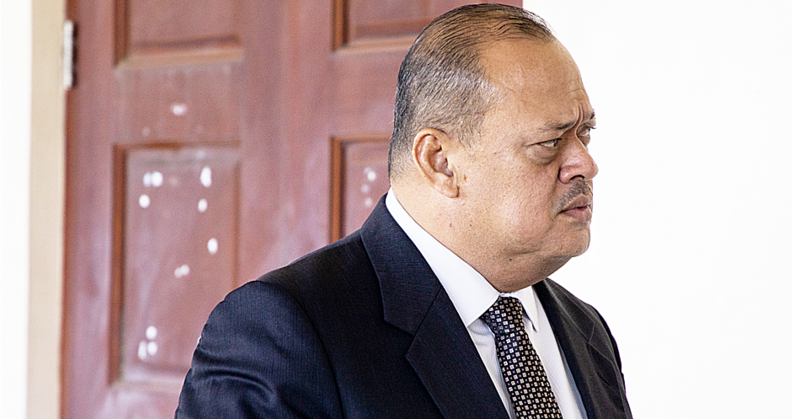 In the keynote speech at the occasion, Lautafi Fio Selafi Purcell reiterated the Government of Samoa’s gratitude to the Government of the People’s Republic of China for its support of Samoa’s National Development initiatives. He acknowledged the joint efforts made by N.U.S. and Liaocheng University in the setting up of the Confucius Institute, and pointed out that its opening symbolized the close and strong Sino-Samoan relationship. He emphasized the shared history between Chinese and Samoan people, and encouraged young people to learn Chinese and study the Chinese culture, in order to promote cultural understandings, enhance diplomacy and facilitate trade and commerce in the future. The significance of the occasion was not lost on Mr Xuefeng, who said the institute’s opening coincided with the marking of the Teachers’ Day in China. He said China-Samoa ties have always been strong and solid since the two countries established diplomatic relations 43 years ago in 1975 and the opening of the Confucius Institute at the N.U.S. is a testimony to that relationship. “Due to the rapid economic and social development of China, the interest and demand to study Chinese language have been soaring up quickly in the past decades. “Confucius Institutes have acted as a bridge for communicating different languages and civilization, facilitating understanding and friendship between the people of China and other countries. “For Samoa, the Confucius Institute headquarters started sending Chinese teachers to Samoan schools since 2013, and thousands of Samoan students have benefited from attending Chinese classes,” he added. Mr Xuefeng acknowledged the efforts and hard work of the Liaocheng University and the N.U.S. to set up the Confucius Institute, and said he looked forward to the Institute becoming a symbol of China-Samoa friendship and cooperation. During the ceremony, Yanting Song, the director of international programs office at Liaocheng University, read out the letter of congratulations from Ma Jianfei, deputy chief executive of Confucius Institute headquarters and executive deputy director-general of Hanban, China. There were also letters of congratulations from Cai Xianjin, the president of Liaocheng University. In his congratulatory message, Ma Jianfei conveyed his congratulations on behalf of Confucius Institute Headquarters and expressed gratitude to all those who have made contributions to the establishment of the Confucius Institute at N.U.S. 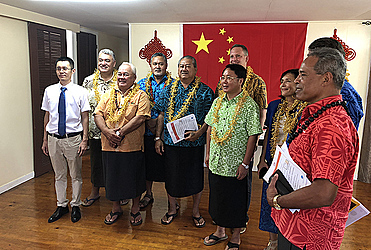 He emphasized the strategic partnership and practical cooperation between China and Samoa, acknowledged the position and work of National University of Samoa and Liaocheng University, and hoped that the two universities would work together to lay a solid foundation for Chinese language learning and carry out a rich mixture of cultural activities. The cultural activities will build a bridge between the Confucius Institute and Samoa in educational and cultural exchanges and cooperation, and contribute to the enhancement of mutual understanding and friendship between the people of China and Samoa. The Confucius Institute at the N.U.S. will commit itself to: offering Chinese language programs to university students and community residents, host a variety of Chinese cultural activities, offer opportunities for Samoan students to go to China for academic or cultural purposes, organise Chinese proficiency tests and Chinese teachers qualification authentication, offer local Chinese teachers training programs, develop study programs about modern China, and provide information and consultation services on Chinese education, culture and economy.